First up, as you might expect, were some bubbles from France’s newest Champagne House, Champagne Brimoncourt. I chose the Brut Regence for its elegance and great value for money. A NV expression, 80% Chardonnay and 20% Pinot Noir, this old school label, resurrected by local man Alexandre Cornot made its first appearance in 2013. Fruit is sourced from the Côtes des Blancs for the Chardonnay and the Montagne de Reims for the Pinot Noir and offers a “very attractive, elegant, refreshing style” as Andrew Caillard MW said in his latest review and I couldn’t agree more! Next up we moved to Spain, to Aucalà in the north east, near the Priorat region. Surrounded by Mediterranean pines, Josep Serra works the continental climate of the vineyard to produce a stunning white wine from Garnatxa Blanca (85%) and Macabeo (15%) under the Serra i Barcelo label. This was universally popular with tasters – fresh and crisp and with nice texture to the palate. Coming closer to home, the next white wine was the Yangarra Estate Roux Beauté Roussane from McLaren Vale. 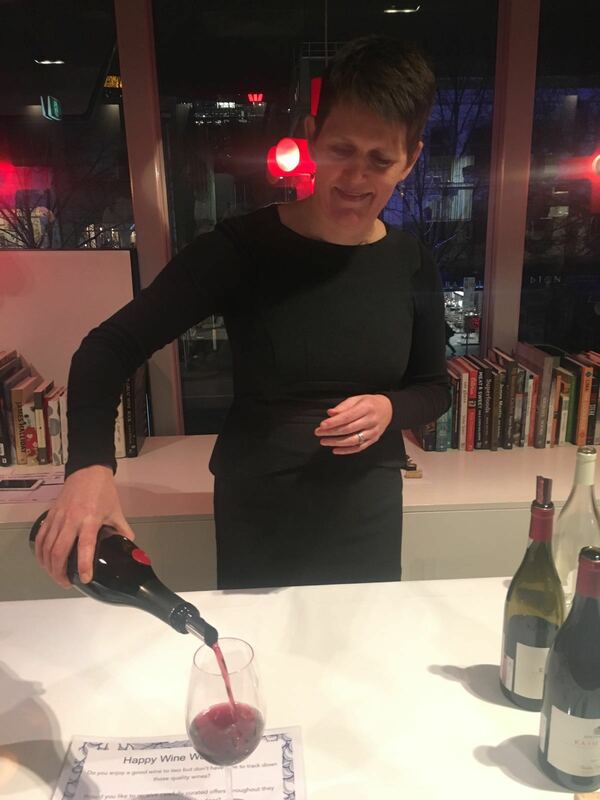 Winemaker, Peter Fraser is firmly focussed on the Rhône for stylistic inspiration – albeit with an Aussie twist. The fruit for this wine was separated into two batches with both being fermented and matured in ceramic eggs. Different skin contact regimes were implemented; the first batch saw 120 days on skins, while the second batch underwent whole berry pressing before fermentation off skin using natural yeasts. The final blend was a 60/40 combination of the two batches. 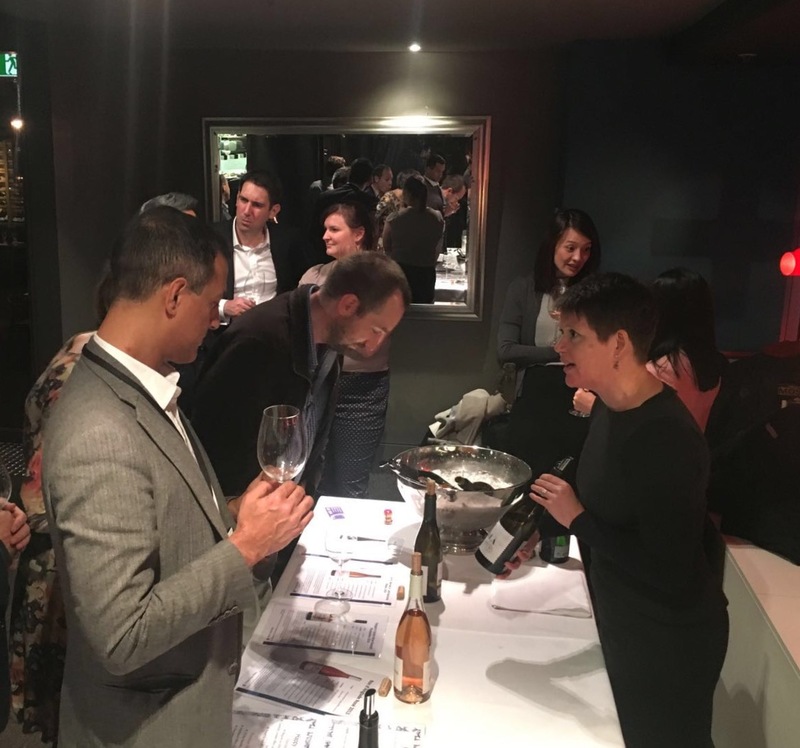 The middle point of the tasting was heralded by the Roc d’Anglade rosé from the Languedoc region of France. Rosé suffers in a similar way to Riesling in that there are many different styles available and if you have had a poor experience with one, typically an overly sweet one, it can put you off for good. No so with the Roc d’Anglade rosé; I have yet to meet someone who, after trying it, doesn’t want more! Remy Pédrano’s Mourvèdre (60%), Carignan (30%), Syrah and Grenache (10%) rosé is crisp and dry and manages to perfectly balance fruit with savoury to create a rather moreish wine. To kick of the reds we headed back to the Champagne region, this time to the village of Bouzy, famed for its quality Pinot Noir grapes. In the majority of cases the fruit is used to produced Champagne but in exceptional vintages producers may chose to hold back a portion of the harvest and release a still Pinot Noir under the Coteaux Champenois appellation as Pierre Paillard have done. Described as an exceptional vintage by Jancis Robinson, 2012 provided a Bouzy Rouge from Pierre Paillard that was juicy on the palate yet retained and showing a lightness and elegance to the structure. For something completely different, the penultimate wine was a Xinomavro from Greek producer Kir-Yianni. The Kali-Riza Xinomavro is produced in Greece’s coldest wine region, Amyndeon. Found in northwest Greece, the continental climate of the region provides wines of elegance and restraint. This wine has a delicious herbal and red berry character to it, providing yet another example of why Greek wines are worth a closer look. To round off the evening we came back to Australia with Yangarra’s GSM from the McLaren Vale. This wine is so easy to drink; the fruit, herbal and savoury meaty notes together with a velvety texture to the wine made it the perfect conclusion to the evening. So if you are in Melbourne and tempted to find out more about the Happy Wine Woman Wine Club be sure to get in touch! Toasty nose with fresh green apples and a touch of oyster shell. The bead is lively with a creamy mousse and good follow through of aromas to palate. The dry chalk notes on the palate and a good length to the finish make for great drinking. A textural wine of stone, green and citrus fruit, white flowers and crisp acidity, leading to chalk-like mineral notes on the finish. 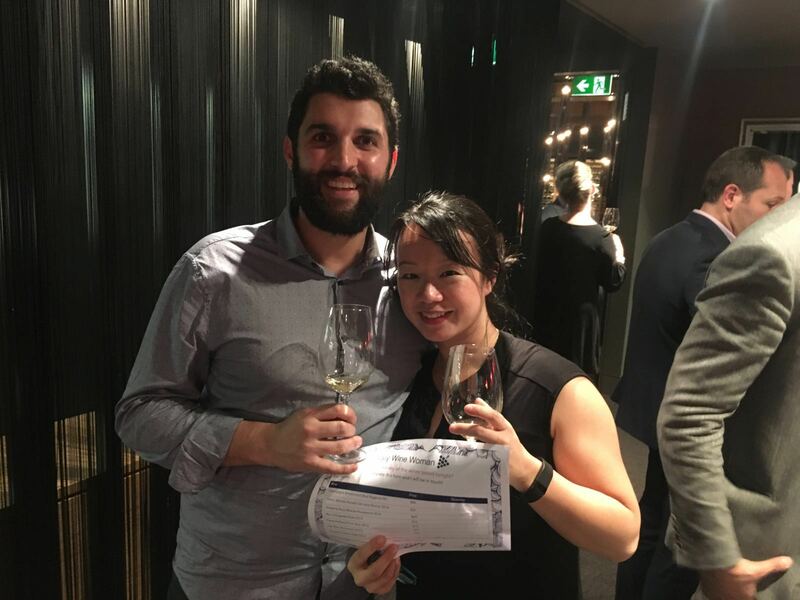 The lees contact adds weight to the palate, which balances nicely with the acidity as the flavours unfold across the tongue, ensuring just one sip is not enough. Waxy citrus, stone fruit, herbaceous and spice notes combine to present an elegant and sophisticated wine. There is good palate weight and texture here, freshened with good acidity levels and a medium body. While there is a fullness to the wine it is not heavy or overwhelming in the mouth. There is good length to the finish with lingering notes of white flowers. Stone fruit with some dairy notes on the nose sitting alongside savoury herbal aromas which follow through on the palate to show the distinctive garrigue notes of wines from this region. The acidity is fresh and textural, reminiscent of the tang of a peach skin on a perfect ripe peach. The finish is good and reveals a touch of bitter cherry on the back palate. A pretty nose of spice, black and red fruit with a touch of citrus peel, which on the palate showed as juicy red fruit and subtle sweet spice. The fruit was nicely balanced by herbaceous notes within a restrained structure of fine tannins, fresh acidity and a good length. Herbal aromas with wild thyme and red berries coming to mind – there is a lovely wild character to this wine making it easy to imagine the vines eking out an existence in this chilly climate. On the palate there is generous red and black fruit, liquorice spice and dried herbs. An elegant wine with medium palate weight, finely textured tannins, high acidity and good persistence of flavours. Black fruit, herbal and meaty notes both on the nose and the palate. A medium palate weight with textured tannins and medium acidity. The mouth feel has a velvet quality to it with a good length to the wine – in the winter weather of Melbourne, this is a very welcome drop! ← There’s more to Melbourne’s dress circle than you might think!